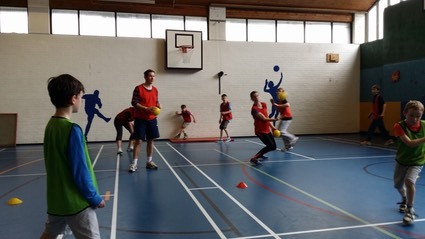 Dodgeball is a great way to get fit while having fun and perfect for children's parties. Local Mums recommend the best dodgeball sessions and parties in our area. “I highly recommend WhizzFit dodgeball parties to all Local Mums.�My son said his dodgeball party was his favourite party ever and the 10 other screaming and cheering 8 and 9 year olds agreed too. Angus was the most energetic party entertainer I’ve ever seen, putting them all through their paces with every child equally involved – and he helped round them up and calm them down at just the right times. A great party!" 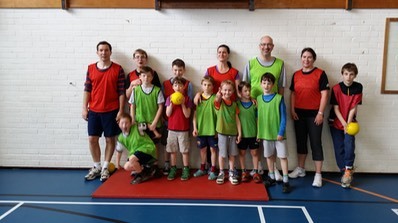 “I recommend�WhizzFit�dodgeball parties to Local Mums.�Darren and Miles were very organised, kept the sessions fun and the children under control. The highlight was the final children against adults�match when they didn’t mind to be at the receiving end! The two hours went by very quickly and I think the kids would have played on for more. An�absolutely perfect party for a bunch of active 10 year olds!"